Just a year after releasing their debut album 'The Devil And The Deep Blue Sea', Germany based 3 Days Whizkey return with a new album and an expanded line-up that features new singer Myles Tyler. Blues based Rock is the name of the game here, with the occasional foray into Southern, Country and Cajun territory. Though they cite the likes of Robert Johnson, Eric Clapton and Muddy Waters as influences, 3DW's looser style of delivery owes more to the likes of the Rolling Stones and Aerosmith on the majority of the songs. 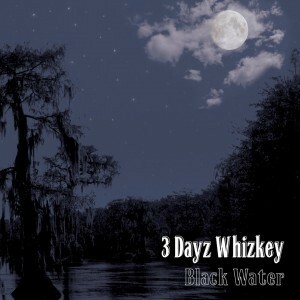 Though there are no less than sixteen tracks on 'Black Water', it doesn't feel like it overstays its welcome due to the healthy mix of styles, plus the fact that eight of said numbers are under the three minute mark. The highlights come thick and fast; to highlight a few, opener 'The Gambler' melds a Black Crowes with a Stones-y type riff and swagger, 'All Night Long' and 'No Escape From The Night' are pure Led Zeppelin Groove-Rock, the wittily-written 'Mick Jagger' is straight-forward Rock 'n' Roll, the Swampy 'Devil Woman' wouldn't have sounded out of place on any Creedence Clearwater Revival or early Eagles album, 'Rock And Roll' does exactly just that while the ballads 'Now That You're Gone' and 'Love's Gone Bad' show a more delicate side to the band. Initially I felt that 3DW's delivery lacked a little conviction, but after repeated plays you gradually find yourself being absorbed and swept along with the groove they create. Tyler has the kind of whisky-soaked tonsils that suit this kind of material perfectly, while lead guitarist and principal song-writer T.G. Copperfield keeps his solos short and sweet, but still effective. 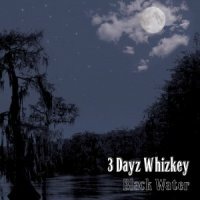 Any reader with a penchant for classic seventies style Rock with a Bluesy edge will enjoy what 3 Dayz Whizkey have to offer.